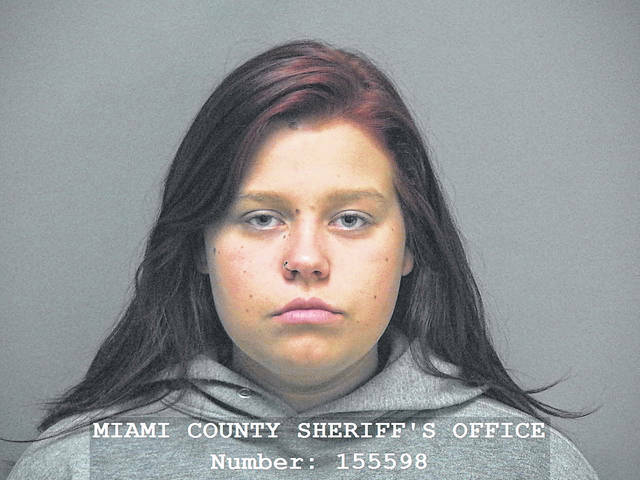 TROY — A Troy teen was arrested after a relative became suspicious of possible drug activity at her Todd Lane home. The Troy Police Department investigated the reported drug offense at a residence in the 1200 block of Todd Lane. Hanna Copley, 18, was found to have 43 caps of fentanyl and 3 grams of methamphetamine, a bulk amount. She was charged with one count of third-degree felony trafficking drugs, fourth-degree trafficking in drugs and one count of fifth-degree felony drug possession. According to the department, Copley was trying to conceal the drugs when a patrolman was let inside the home by the reporting party. Copley was arraigned on the charged in Miami County Municipal Court on Wednesday. Her bond was set at $40,000 for all charges. She remains incarcerated in the Miami County Jail.